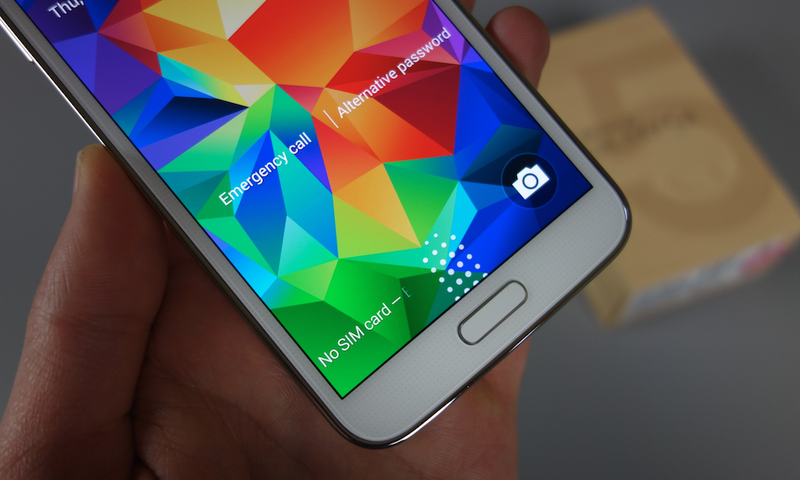 The Samsung Galaxy S5 has a fingerprint scanner, yep, it does. It’s not as slick as Apple’s on the iPhone 5s, but it’s there in case you want to give it a spin. You can use it to authenticate in your Samsung account, potentially pay for things with Paypal, and even set it up to be used for unlocking your phone. In my brief time with it, I’ve found that it works for the most part, but is indeed a bit particular in where it wants you to swipe, much like other fingerprint scanners that require a swipe. The Galaxy S5’s fingerprint scanner allows you to setup up to three different fingers, back it up with a password, and like I mentioned, use it with a Samsung account, Paypal payments, and as your lock screen security layer. In the brief tutorial below, you’ll see exactly what it takes to set it up properly, where you need to swipe to get it to work each time, and then ultimately decide if it’s just another gimmick or something useful. At this time, it certainly seems pretty limited.